A patient undergoes treatment for cervical cancer at Mulago hospital in Kampala on an old radiotherapy machine. Courtesy Photo. Uganda’s ability to detect cancer in early stages is still low due to bad health seeking habits amongst Ugandans and limitations in health resources for cancer diagnosis. Dr. Medad Karyoko Ebyarimpa, a healthcare practitioner attached to Ntinda Medical Centre says that although cancer can easily be detected through both evasive and non-evasive procedures, most of the cases are detected long after they have spread far away from the origin into other organs of the body. A recent report by the Uganda Cancer Institute indicates that about 80 percent of cases recorded at the institute are advanced and often incurable. As a result, 78 percent of newly diagnosed cancer patients die during the first year after diagnosis. It is anticipated that more than 500,000 Ugandans are living with different kinds of cancers unknowingly. Dr. Ebyarimpa attributes the trend to a shortage of specialized health personnel and equipment which could be used to save cancer victims. He says often, after the late discovery of cancer in patients, the only available service is palliative care. 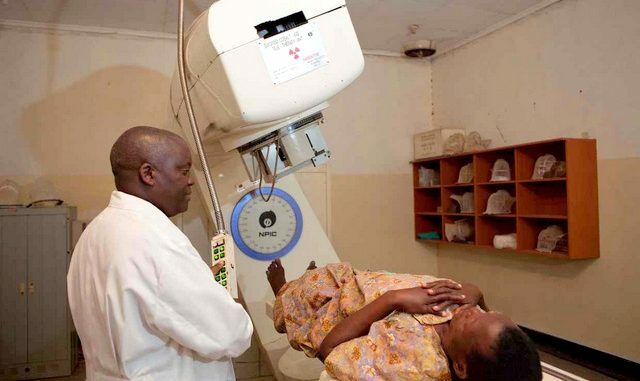 Mike Sseginda, a general practitioner at Spring Medical Centre says that detection of cancer in the country is still very low because of poor consultation and referral behavior in the country. Agnes Asiimwe, a midwife says that only midwives that have taken time to do extra reading about cancer have the ability to detect it well. According to the Uganda Cancer Institute, the incidence of new cancer patients is on the rise in Uganda. From 270 new patients in 2008 t0 300 new patients per every 100,000 people, the number of new cases is expected to stand at 400 per 100,000 people by 2020. However, Dr Jackson Orem, the Director of Uganda Cancer Institute (UCI) says that detection of cancer has improved. Dr Orem says that the best way to detect cancer is to go for cancer screening to know one’s health. For cervical cancer, he advises that people aged between 13-25 years age get vaccinated to keep the cancer at bay.